Since when are you interested in this breed and why did you choose it in the beginning? We bought our family’s first dog, a Transylvanian hound or Erdelyi Kopo, in 1987 from the Bükki kennel. 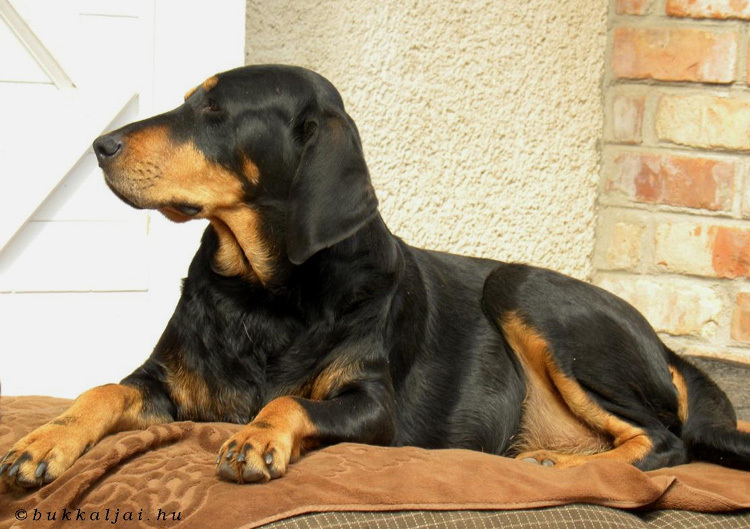 As a child and an unexperienced dog keeper, it wasn’t easy for me with such a breed of strong character but slowly and gradually we got to know each other and her personality, noble simplicity and toughness had such great impact on me that I have shared my life with Transylvanian hounds ever since – more than 23 years to date. This breed is extremely intelligent and independent but easy to train. He does not cling to his owner, still he is very loyal, while he is distrustful and reserved towards strangers. Would you explain the characteristics of the breed for which a potential owner (hunter) might prefer this breed to others? 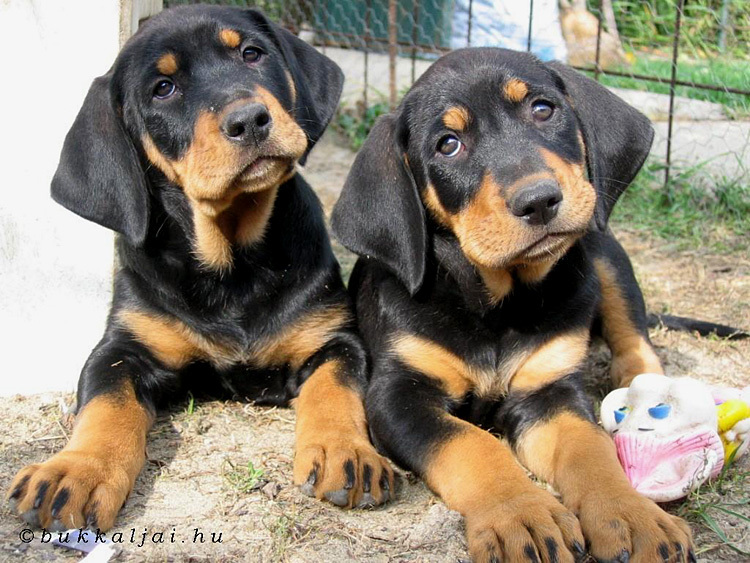 The Transylvanian hound is an old Hungarian hound breed, whose characteristics were formed by the features of the climate and terrain of his home country. His appearance reflects nobility and harmony. He is calm and balanced yet extremely independent and slightly stubborn, which is due to the fact that he has to work rather far away from his keeper and autonomously. He looks for the game persistently, drives and stalls the game excellently, giving out his characteristic, high-pitched, whining sound while on the warm track or during driving. 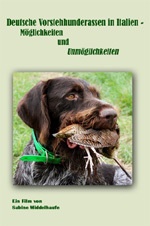 He is an ideal driving dog, because the Erdelyi Kopo is an extremely persistent and enduring breed that can cover large distances during a hunt. He is easy to train, intelligent and can equally be kept in an apartment or in the yard. In your opinion, is there any specific characteristics of the breed that hunters nowadays don’t appreciate enough? Perhaps it is the breed’s independence that some may find hard to manage and, as a result, the Transylvanian hound is not suitable for all. 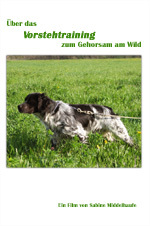 Due to its field of use, he has to locate and hunt out the game and then return to his owner only to the sound of the hunting horn, without any other direction or control from his owner. According to the Hungarian hunting laws, hounds can only be used to drive wild boars and look for wounded game. Accustomed to the vast Transylvanian forests, the breed doesn’t find it easy today to adapt itself to the fragmented hunting areas and the short drives, but he is extremely apt to learn. He quickly learns that it is not worth getting far from the line of driving as the prey can only be shot there. He has excellent smelling and sense of orientation and easily tolerates up to several days’ demanding work. The breed is predominantly handled by hobby keepers and only a small percentage lives with hunters. Which characteristics does a „good” representative of the breed absolutely needs to have to be called „good”? As we are talking about a hunting dog, the main value-measuring characteristic of the Transylvanian hound is his suitability for hunting, his independence and endurance. One of his most characteristic features is that during driving it persistently gives out the typical high-pitched whining sound. It was due to all these features that noble manors held the breed in great respect. An ideal Transylvanian hound’s body is strong but free from extremes; it is harmonically built and his look radiates nobility and intelligence. His coat feels coarse and it is longer than that of other shorthaired breeds, making him resistant to rigours of weather. The balanced nervous system is important! 5. 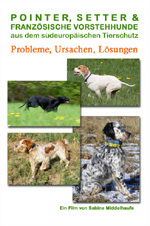 How do you see the situation of the breed in your country, and if you had the power, is there you would like to change in the present day way of breeding? The present stock shows a rather heterogeneous picture regarding both, its appearance and abilities. 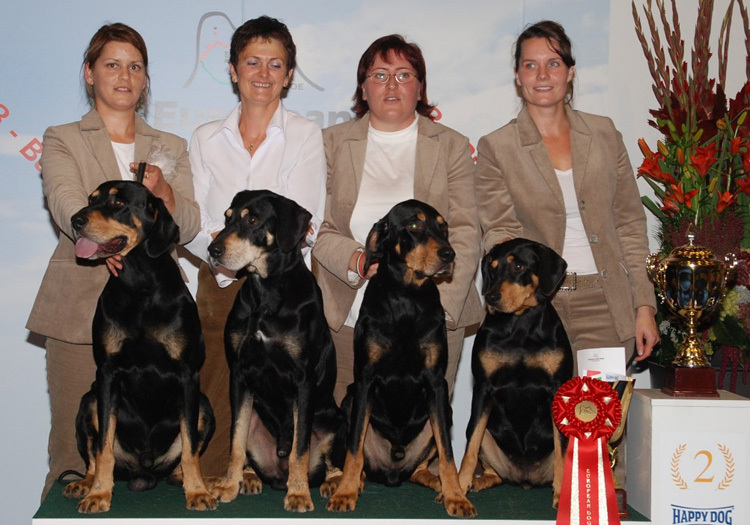 In Hungary the precondition of breeding is a successful breeding review, consisting of the assessment of appearance and skill test. During the ability test, the candidates have to successfully complete the phases of wild boar driving, trail and the nervous system test. 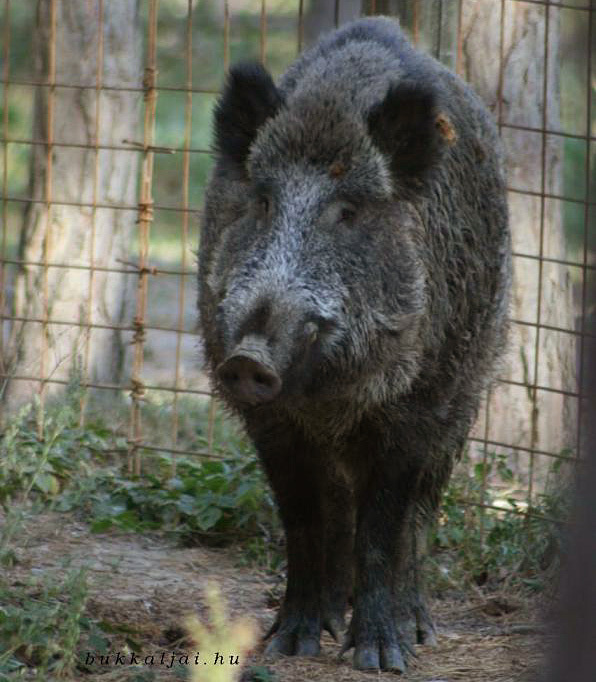 In order to get prepared for the tests, competitions and battues, it is necessary to practice in a wild boar park. There are only a few possibilities for those who wish to practice. Not everybody can afford today to travel hundreds of kilometres in order to practice 10-20 minutes. The size of the breed stock is around 800-1000 animals in Hungary. In the past 5-6 years only about 80-90 puppies have been registered each year by the dog breeding organisation but several litters are born from parents without pedigrees or breeding examinations, which is by no means useful for the breed. In your opinion are the breed and its characteristics known well enough to potential owners (hunters) or is more information and promotion needed? As I said before, a large proportion of the Hungarian stock is with hobby keepers, functioning as family dogs, but each year more and more owners participate in hunts with their dogs, proving their capabilities. But this is still not enough and the breed is less known to hunters. For boar hunts they prefer short-legged terriers, which are more aggressive in spite of the fact that they are wounded more often. 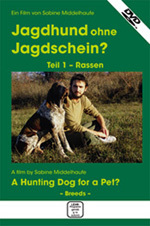 However, interest in the Transylvanian hound has been growing in recent years and a growing number of hunters would like to choose and try this dog to hunt boars and follow up the wounded game. Those who once succeed with the breed will later stick to it. Do you personally find it important to participate in dog shows, working trials and club events? I find it especially important to participate in such events. Not only to make the breed more popular, but also to have our dogs assessed regarding their appearance and at work. 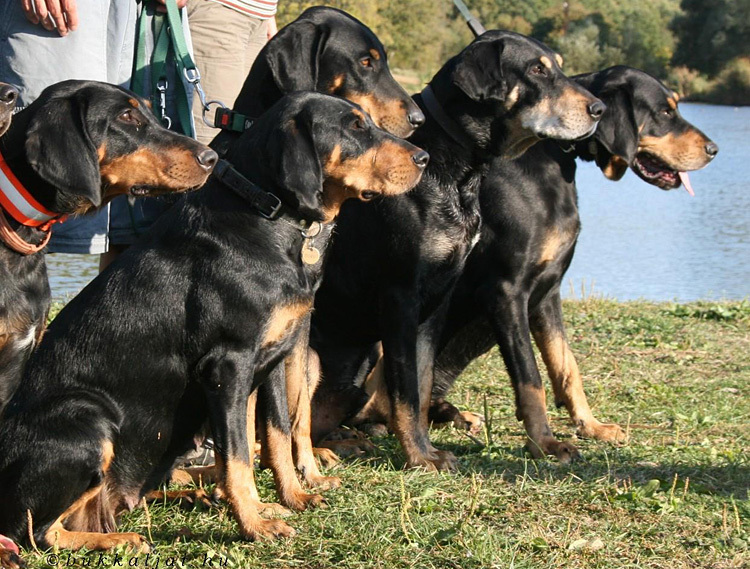 At the shows there are many people who see this kind of dog for the first time in their lives as the breed is not well-known even in its own country. The working trials on the other hand can give us useful feedback about what direction the abilities of our dogs are developing. Fortunately, the interest of the competitions becomes higher every year. According to your judgement, for what kind of hunting and for which species of game is the breed particularly qualified? The Transylvanian hound is a driving dog, which looks for the big game on its own, following and driving it persistently but cautiously. In the meantime, it continuously gives out its typical driving sound that serves as a signal for the hunter and the other hounds as well. Nowadays it is mainly used for wild boars but, according to the descriptions, the breed was once useful during hunts for bison, bears, deer, foxes and lynxes, too. What advice would you give someone who wishes to use this breed for hunting for the first time? It is the innate ability of the hound to drive and chase the game so it doesn’t need to be specifically taught for that. Proper socialisation and forming a good owner-dog relationship is very important at an early age. The basic obedience tasks, such as walking on a leash, calling in and the other basic commands must be taught by the age of one year. From the age of one it is then useful to take the dog to a training park so that he can get to know the boar face to face. This usually means a fenced-off territory of one hectare with one or a few boars. 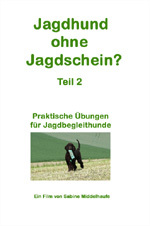 First it is worth checking out how the dog behaves with the game alone, while he is encouraged and urged. Then his fighting mood can be further improved with the help of an older and more experienced hound. When we have gone through enough practice and our dog can work confidently and steadily, then it is time to take part in real battue. At these events, the young dogs can generally learn the tricks of boar driving from the other, more experienced dogs.